During the Second World War 1939 to 1945, Japanese submarines carrying Flying Boats and midget submarines, sunk 21 Allied ships north of Richards Bay. This happened only five months after they had attacked Pearl Harbour. Nobody spotted the Japanese submarines and their offensive off Zululand remains unknown to this day. "Niitakayama nobore 1208", was the Japanese coded signal to the Japanese Combined Fleet on 2 December 1941 to indicate that hostilities against the Allies would commence. The signal means, "Climb Niitaka Mountain (the highest mountain in the Japanese Empire) on 8 December 1941." On 7 December 1941 the Japanese Air Force and Navy attacked the American base at Pearl Harbour. 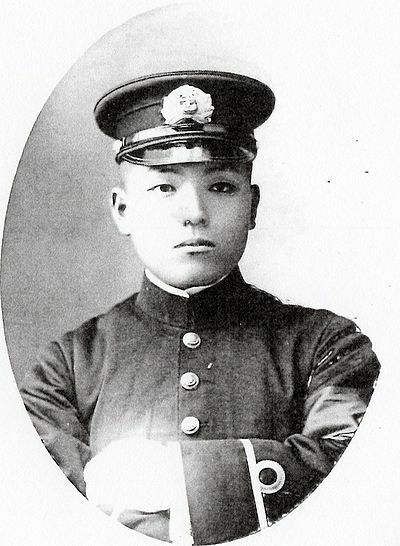 Japanese submarine Number I-18, under the command of Captain Otani Kiyonori, took part in the attack on Pearl Harbour. 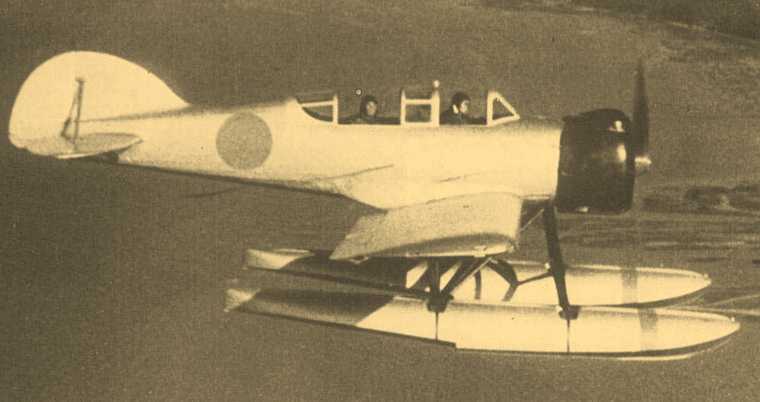 The submarine launched her two-man midget submarine, under her pilots, Furuno Shigemi and Yokoyama Shigenori, to attack ships that attempted to sortie from Pearl Harbour. American depth charges killed both midget submarine pilots. On 6 July 1942, only five months later, the same submarine sank an Indian merchant ship, Mundra, very close to Richards Bay. Some one hundred and fifty of her survivors reached the Zululand coast safely. The Japanese submarines were truly remarkable craft. Submarine I-series had a length of one hundred metres, displaced 2 180 tons, they were three stories high, had a surface speed of 28 knots, had a range of 22 400 kilometers and a crew of 102 sailors. Their 14 cm guns were unusually large. Some Japanese submarines also carried one top secret Type A Ko-hyoteki Gata Type A class midget submarine code-named "Mato". The 46 ton "Mato" midget was 24 meters long, had battery-driven 600 hp electric engines, a crew of two and carried two 18-inch torpedoes. The submerged speed was 19 knots. The midget was secured to the mother ship by heavy clamps and had direct access by a hatch, as well as telephonic communication. The midgets were named "coffin boats' since their pilots seldom returned alive to their mother ships. 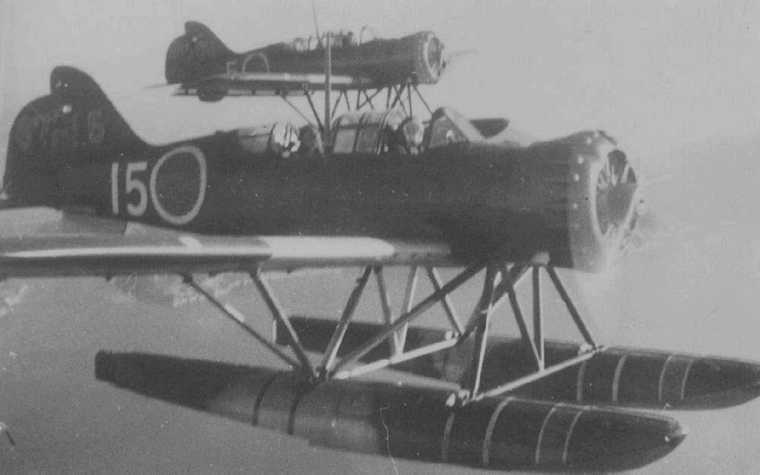 Some Japanese submarines also carried one Yokosuka E14Y "Glen" flying boat aboard with an endurance of three hours. It carried a wireless and one Type 92 flexible rear-firing 7,7 mm machine gun. It was powered by one Hitachi Tempu 12 nine cylinder air cooled 340 hp radial engine driving a wooden propeller. It had a cruising speed of 90 knots, a ceiling of 5 420 meters and a range of 476 nautical miles. It was flown by a pilot plus a navigator. The flying boat, with its pontoons removed and its wings and tail folded up, was stored in a large water tight hanger. The "Glen" flying boat was launched by an 85 feet long pneumatic catapult. A deck crane later retrieved the flying boat from the sea. Madagascar is the fourth largest island in the world. Its area is one-quarter of that of South Africa - it is 1600 kilometers long and 340 kilometers wide. It was first occupied by 30 Indonesian women and two Africans of unknown origin. In 1937 the Polish Government investigated Madagascar as a possible homeland for Jewish people. In 1940 Adolph Eichmann wanted to deport a large number of Jews to Madagascar. After the fall of France on 22 February 1940, the Germans made an agreement handing the Vichy French island of Madagascar to the control of the Japanese. The Japanese would use Madagascar as a base for operations stretching from the Cape to the Arabian Sea. The French occupied Madagascar. They had 3, 000 French soldiers, ships, five submarines and aircraft on the island. The Allies were desperate to stop this and decided to invade Madagascar via Diego Suarez harbour under "Operation Ironclad". Three British and one South African brigade left Durban Harbour on 25 April 1942 using 46 war ships including two aircraft carriers with 82 aircraft and one battleship, "HMS Ramilles". They were supported by aircraft from Zwartkop. This was the very first amphibious landing of the war that commenced on 5 May 1942. Diego Suarez was taken two days later and fighting towards the south continued for six months. The Allies were confronted by 8 000 Vichy-French soldiers - including 6 000 locals and Senegalese. On 27 March 1942 the German Naval Staff formally requested the Japanese Navy to launch operations against Allied shipping in the Indian Ocean and on 8 April 1942 Vice Admiral Komatsu ordered five submarines, numbers I-10, I-16, I-18, I-20 and I-30, to leave their base in Kwajalein in the Marshall Islands and to embark on their long voyage to East Africa. The five submarines were accompanied by their auxiliary supply ships Aikoku Maru and Hokoku Maru. Before daybreak on 20 May 1942 Captain Ishizaki Nobora (later Rear Admiral) in his Flagship, submarine I-10, was sailing south of Richards Bay. He catapulted his flying boat into the air to reconnoiter the Durban harbour area looking for Allied ships to attack. At 05h15 the unidentified flying boat was reported over Durban. When challenged, the flying boat gave the wrong letter of the day and the plane disappeared out of the Durban area at 05h54. The flying boat was hoisted back and placed into its water tight hanger onboard the submarine. During the night of 29 May 1942 submarine no. I-10 launched her flying boat to reconnoiter the harbour of Diego Suarez in northern Madagascar. The plane sighted the HMS Ramillies, an old 29 150 ton Royal Sovereign class battleship, at anchor in the Bay. Also in the harbour were the destroyers HMS Duncan, and HMS Active, the corvettes HMS Glenista and Thyme, the troopship HMS Karana, the hospital ship Atlantis, the tanker British Royalty, the 10 799 ton merchant Llanddaff Castle and an ammunition ship. During the night of 30 May 1842 Captain Ishizaki ordered a midget submarine attack on Diego Suarez Harbour. Midgets from I-16 and I-20 attacked the Ramillies. 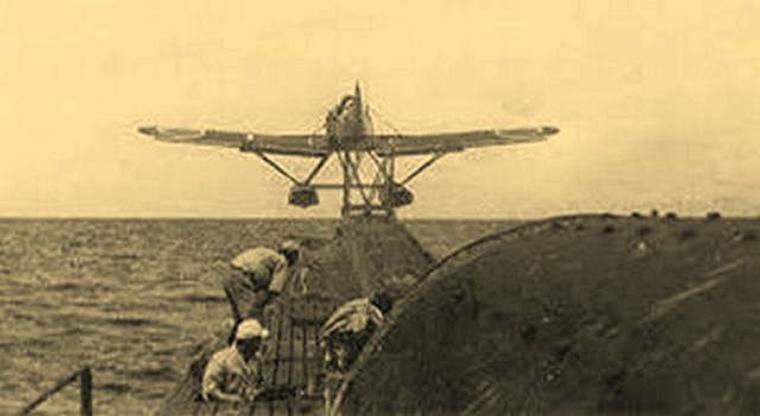 However, the midget submarine of I-18 under Lt. Ola Masaharu and Tsubokura Daiseiki suffered engine failure and could not be launched. At 20h25 the I-20's midget submarine piloted by Akieda Saburo and Takada Masami, whilst under depth charge attack by the British corvettes, heavily damaged the Ramillies with a torpedo. The same midget then torpedoed and sank the 6 993 ton British Royalty in shallow water. It was a clear full moon night. Both midgets reached the inside of the harbour and their conning towers were spotted by the Allies. The "Ramillies" was struck and suffered a 30 meter hole in her port bulge. It caused severe flooding. Fortunately, there were no fatalities. The crew removed bombs, shells and bullets from the flooded ammunition stores. The master of the British tanker, "British Loyalty", saw the attack on the "Ramillies and he heaved up her anchor. A second torpedo hit "British Loyalty" at 21h20 and her stern started to sink rapidly and her master, R Wastell, gave the order to abandon ship. Five men were killed in the engine room and four were injured. The two man crew of the midget from I-20 attempted to head for the open sea. However, their steering was defective and they crashed into a reef. They abandod the craft and swam to the shore. They started to walk to the rendezvous point with their mother ship near the wooded hills of Cape Amber. They knew that I-20 would wait for them for two days. In the mean time some of the locals reported the two Japanese pilots to the British authorities. On 3 June 1942 they were trapped near Amponkaranda Bay by 15 members of the British Marines. When challenged the two refused to surrender and attacked the Marines with two pistols and one sword killing one marine. Both of them were then shot dead. The crew's documents were recovered. These included details of their mission. The crew of the second midget under Iwase Katsuske and Takada Kozo also lost their craft and one body was found in Diego Suarez Harbour. The actual craft was never found. On 9 June 1942 the damaged Ramillies reached Durban harbour for repairs. The Mercury featured a photograph of the damaged ship. A Lysander pilot found the wreck of the midget submarine on 17 June 1942. On 10 November 1976 the Japanese Embassy erected a plaque on the spot where Akieda and Takemoto died: "Here on 3 June 1942 died two brave Japanese sailors." The five submarines continued their devastating raids off Zululand and in June 1942 they sank another 13 Allied ships in quick succession. On 4 July 1942 a Japanese submarine launched another flying boat south of Richards Bay. The plane reached Durban at 21h10. However, the searchlights could not spot the plane. An air raid warning "Red" was issued and at 22h55 the flying boat was flying out to sea and back to Richards Bay. On 6 July 1942 Japanese submarine I-18 sank the 7 341 ton British India Steam Navigation Company's merchant ship Mundra very close to Richards Bay. 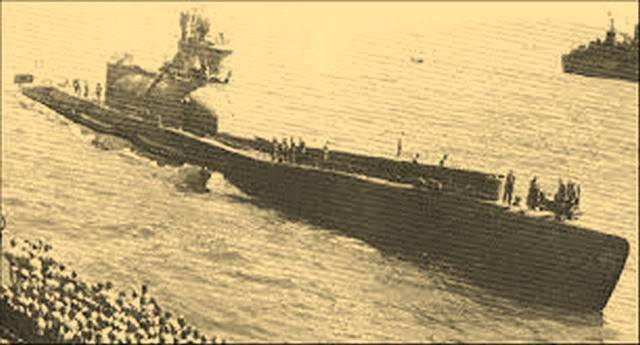 The Mundra was carrying survivors from other ships. Fortunately, 155 men reached the Zululand coast safely. Some dead bodies were washed up in Durban. 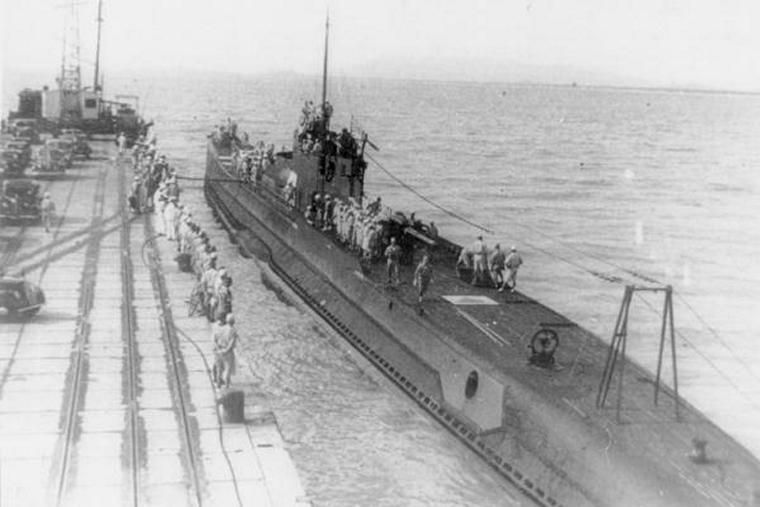 In the period May to July 1942 the five Japanese submarines under the command of Captain Ishizaki, sank a total of twenty-one Allied ships in the Mozambique Channel. Anti submarine patrols were flown along the Zululand coast. They were supplemented by foot patrols. However, all the Japanese submarines had vanished. The South African Air Force as well as the Royal Air Force never detected a single Japanese submarine off the South African coast. On 23 August 1942 submarine I-18 arrived back for repairs at Yokosuka, Japan. On 11 February 1943 the I-18 was spotted by the Americans in the Coral Sea 200 miles off San Cristobal. The USS Fletcher dropped a pattern of depth charges on I-18 and a heavy explosion followed. Cork, wood and a very large oil slick surfaced. 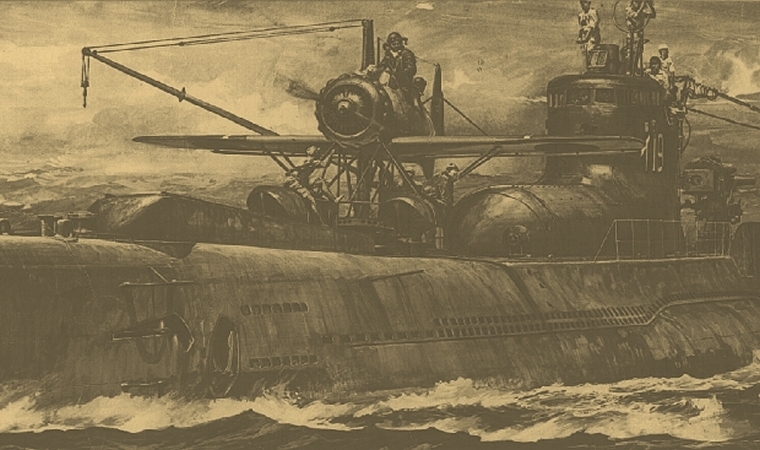 Submarine I-18 perished with all 102 hands. The Allies attacked the southern half of Madagascar. There was no serious opposition and the French Commander, Governor-General Armand Leon Annet, surrendered on 5 November 1942. The Allies suffered 107 killed and 280 wounded. The French lost 150 killed and 500 wounded. 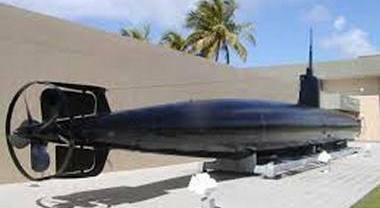 A midget submarine of Japanese submarine I-18 was discovered in the Keehi Lagoon on 13 June 1960. No human remains were found on board. 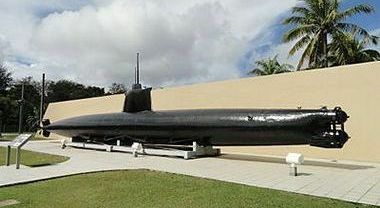 The midget was raised on 6 July 1960 and it is currently on display at the Naval Tactical School at Eta Jima, Hiroshima. South Africa benefitted economically from the Second World War: Supplies to visiting ships increased from 142 000 pounds to 5300 million pounds in 1945, 400 convoys carrying 6 million soldiers visited South African ports, 50 000 ships passed, we produced barges for India, motor launches for Burma campaign, employed 51% more people in manufacturing, manufactured 12 million pairs of boots, five million blankets, 2 435 million cigarettes, 80 different types of motor vehicles, ie 32 000 vehicles. The Japanese surrendered on 2 September 1945.